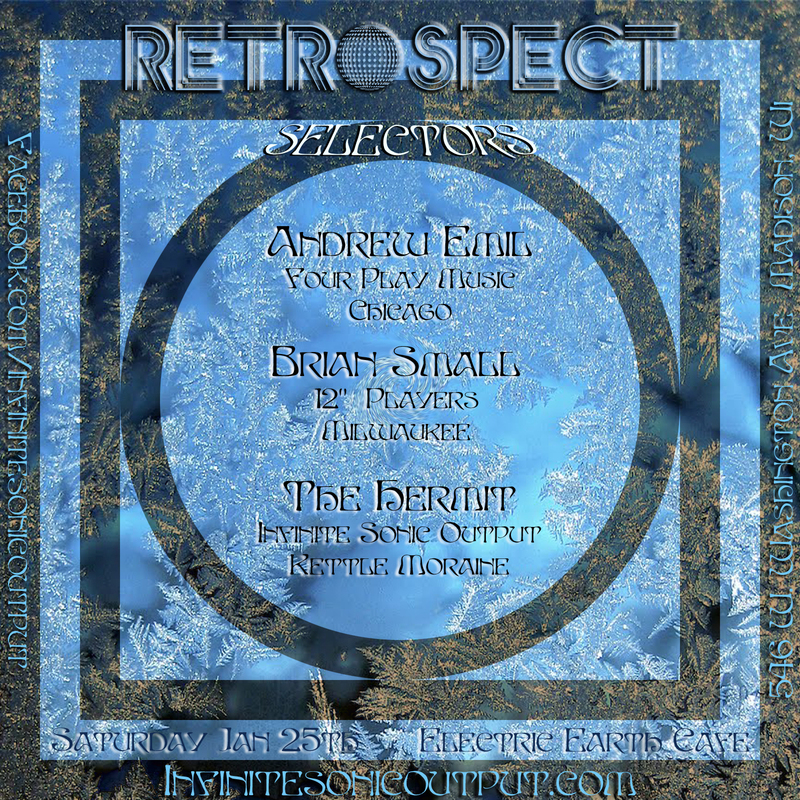 Live recording of the first 3 hours of Retrospect at Electric Earth Cafe in Madison, Wisconsin on January 25th 2014. An all Vinyl, Digging In The Crates 5x5x5 tag session between The Hermit, Andrew Emil, and Brian Small. Runs the gammut of House with an abundance or rare and classic gems, original Disco and Electro cuts, and just an overall lession in what House music is, was, and should be. This entry was posted on February 16, 2014. It was filed under Retrospect Live Mixes.